Yesterday we said goodbye to our beloved Hoboken. 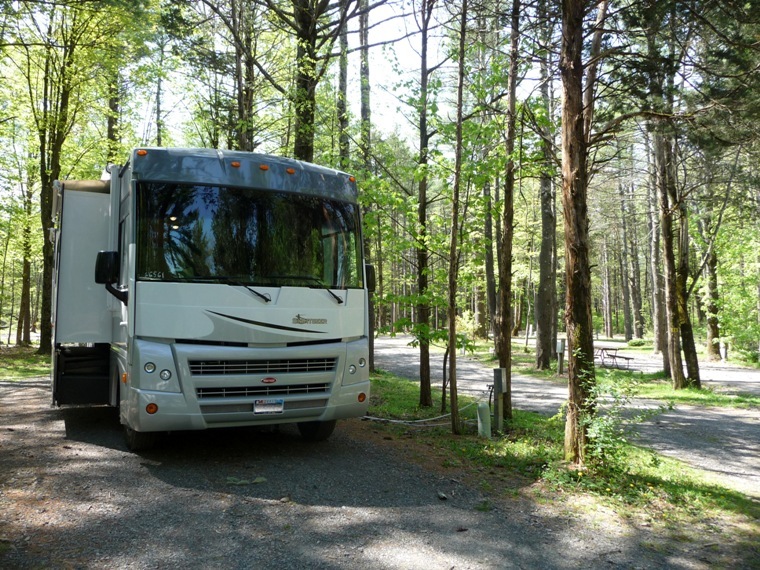 With the car packed to the gills and Tabitha crying in her kitty carrier (our other cat, Emma, passed away in January), we set out for Saugerties, New York, stop #1 on the RV adventures. Actually, our first stop was to pick up the RV at a storage place in Saugerties. So far, so good. We haven’t broken anything yet, and Brian seems to have figured out which hoses to plug in where. It was surreal to wake up in a wooded Kampground of America, which we pretty much have to ourselves, with the sound of birds chirping instead of our neighbors’ kids screaming. We’re here for three weeks, to see family before we head out to parts unknown and adjust to the fact that we now live in an RV. Good luck and have fun. I will be following you.